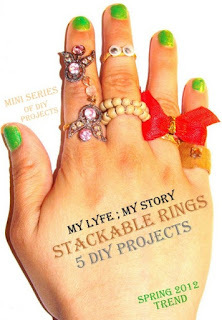 Here is the third DIY Project of the mini series, "Stackable Rings". Step 1: First get a set of bead and hoop them through a clear wire. 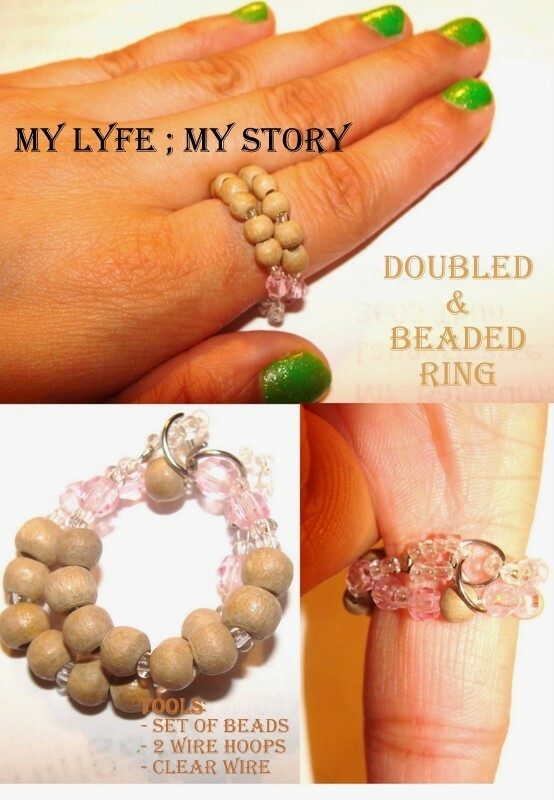 Step 2: Then, doubled the beaded wire twice then use a two wire loops around them; to hold the whole thing together. Step 3: Simple as two steps that's all!